Backed by the support of our experienced professionals, we able to manufacture and supply Pre-Engineered Building. 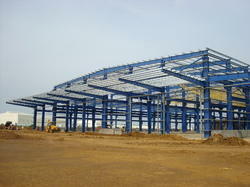 The provided pre-engineered buildings are widely appreciated for their fine design, durability ad less maintenance. In order to ensure the presence of aforementioned features in provided pre-engineered building, we manufacture these using best grade raw material. The company is a well known supplied and the manufacturer of a high quality of Pre Engineering Building Solutions which carry out the steel structural framing system which are carried out in a precise manner by trained engineered. These solutions are carried out in an accurate manner and they have been priced at very affordable rates in the market and this is done on time as per the client requirements. We use a high quality of raw materials bought from well known vendors. We provide our clients PEB Building on turnkey basis, as per our their specific requirements. Our team of diligent professionals undertakes the entire process of designing, manufacturing, and installing of buildjng works. We have helped our clients with quality services, making their work effective and efficient. Understanding the requirements of construction industry, we are engaged in offering Pre Engineered Building. 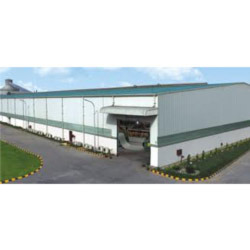 The demand of offered pre-engineered buildings is high as these are developed in accordance with the established quality standards of the industry by making use of high grade raw material. To ensure the higher level of patron satisfaction, we manufacture these pre-engineered buildings as per their detailed specifications. 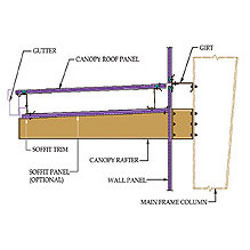 We are widely recognized as one of reputed manufactures and suppliers of a broad array of Pre- Engineered Structures. Our professionals make use of quality tested raw material in the manufacturing process of offered structures so as to ensure these are able to stand tall on the expectations of patrons. After the completion of the production process, we make the provided structures undergo a quality check so as to ensure these are free from flaws. 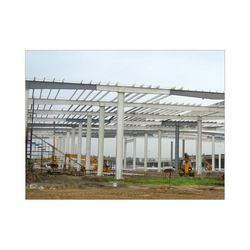 We are a quality focused organization engaged in manufacturing and supplying wide array of Structural Sub Systems. Offered structural sub-systems are made as per the regular mechanism using latest technology and supreme quality raw material. These structural sub-systems are used for providing structure for installing the satellite sub system and for ensuring physical protection in orbit operations, during transportation and orbit operations. We are a leading name in this domain engaged in manufacturing and supplying a wide array of Pre-Engineered Building Structures. Patrons are augmenting the demand of offered structures as these are manufactured using high grade raw material. In addition to this, we fabricate these structures as per the specifications detailed by patrons. Leveraging on the support of sound infrastructure, we are able to manufacture and supply Pre Engineered Building System. By using modern machinery and quality assured components, we manufacture these pre-engineered buildings while keeping in mind the universally accepted quality standards. Prior to dispatch, we make these pre-engineered buildings pass a quality check so as to ensure their ability to fulfill the requirements of patrons.